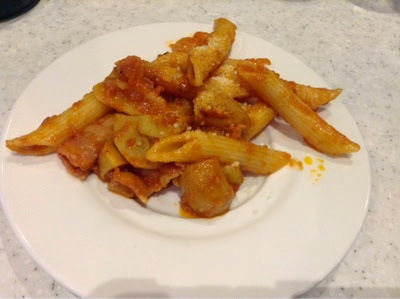 I'm no pasta expert although some of my friends really know what it means to have a good pasta since they lived, studied and worked in Italy for the longest time. And since they had imbibed the Italian way of cooking, eating their specialty dishes feels like they've brought Italy closer to home. I'm used to authentic Italian cooking so I'm more particular when it comes to pasta. It has to be from durum semolina, must be bronze cut and best of all, they should be 'al dente'. What does the term al dente means? In a simple layman's term, it should be something that can be chewy. 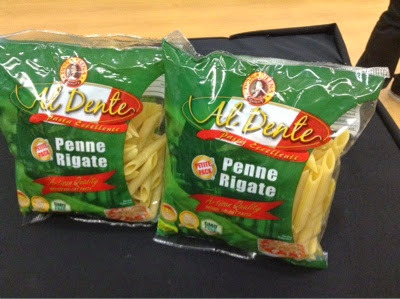 I recently attended an invite from Doña Elena Al Dente Pasta in an event to celebrate the National Pasta Month. I was surprised to learn that there is such a thing called "National Pasta Month". But it seems that it had been celebrated in some parts of the world and now it i cludes the Philippines. 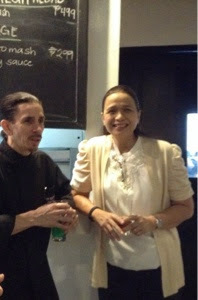 During the said event held at the Blackboard by Executive Chef Michel Cottabaren in Podium Mall, we were given a brief lecture how pasta came about as well as other trivia. 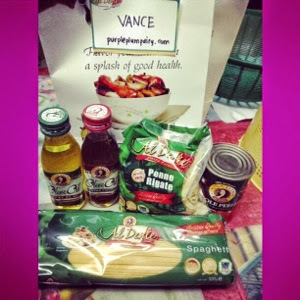 Doña Elena's resident nutritionist expert Professor Luchi Callanta also discussed the health benefits of eating pasta despite being a source of carbohydrates. 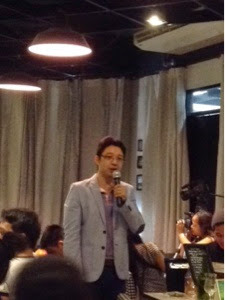 Entrepreneur and popular author/columnist RJ Ledesma also shared his own experience about eating pasta. According to them, it was in Rome where the pasta congress was first held. Pasta originated from asian noodles. Italy is recognized to be the pasta capital of the world, when we eat lasta. We can be assured that our ancestor ate something similar. Unknown to many, pancit is derived from Hokkien pian i sit, meaning something conveniently cooked fast. In other countries, they were very particular with pasta. It has to be made with only artisan quality. It has to be from 100% durum semolina. It stems from the terminologies: Durum-hard, semolina-hardest kind of wheat= semolina. 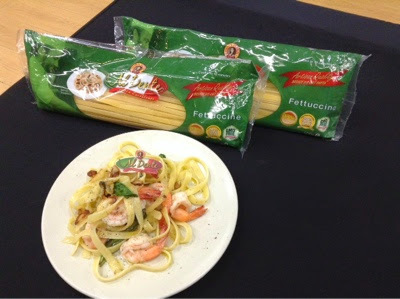 It was further explained to us that their is higher protein content in pasta by extruding or pressing pasta flour into pasta dies. 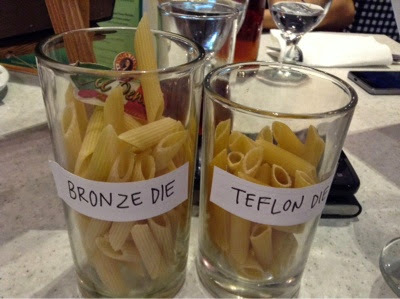 There are two kinds of pasta dies: Teflon die or bronze die. 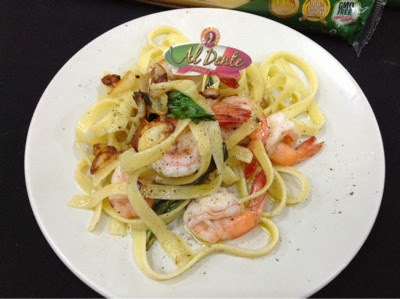 In the Philippines, Doña Elena Al Dente is the only Artisan quality Italian Pasta.it was made from slow drying process and not subjected to high heat. It uses the special bronze dies which leaves a rough surface that creates ridges on the pasta. These ridges help sauces to stick to the pasta better, making every bite delicious. It's also GMO-free, 100 percent certified all natural. 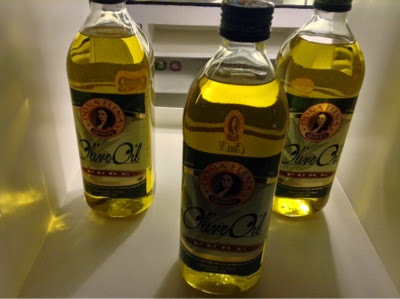 There are sumptuous recipes from Doña Elena Al Dente and it's best paired with their other products namely; Doña Elena Olive oil and Doña Elena mediterranean products like capers, anchovies and black olives. They also have the diced tomatoes in can. The best part about Doña Elena Al Dente is that they don't stick together when cooked. It becomes al dente--with the right texture and a bit chewy, not soggy or overcooked.